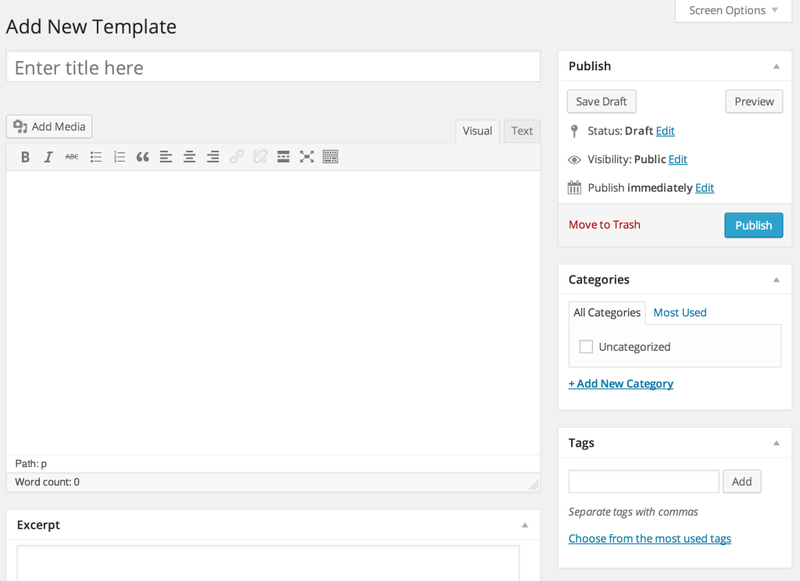 Advanced Content Templates provides a simple, easy-to-use post content template system to WordPress. Instead of opening an old post for editing, copying and pasting various details into a new post and saving, you can create a post template and load it automatically (or manually) every time you create a new post! Example: Say you’re a photographer who blogs about your wedding shoots. It’s likely that each one of these posts will have a similar format, with the same general outline and content. With Advanced Content Templates, you could create a template called Wedding Shoots, and load it anytime you’re posting about a wedding. Going further, if you have specific templates that should be used for specific content types, you can have your templates automatically loaded each time a new post is added to that post type. Example: Say you have a ‘Book Reviews’ post type. You could create a ‘Book Review’ template that is loaded each time you click ‘Add New Book Review’. Magically! Beyond this, you can even use PHP inline in your templates to create content that is dynamically generated each time the template is loaded. Example: You could automatically insert the date into a ‘Recipe of the Month’ post title. 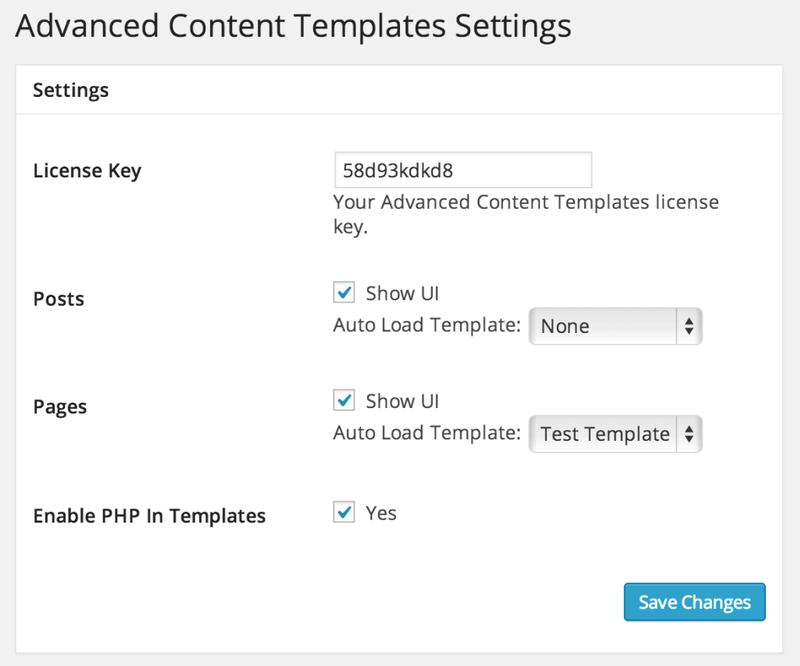 Go to Plugins and click “Activate” next to Advanced Content Templates. To receive support and updates, you’ll need to enter your license key (provided at purchase) and save your key settings. This will reveal a button that will allow you to activate the current site. The number of activations you receive depends on the license you purchased. Each public post type (ie, one that has a menu) will show up with a checkbox and a dropdown. The checkbox adds a Advanced Content Templates metabox to the edit / create screens for that post type, allowing you to load a content template manually. The dropdown lets you set a content template that will load automatically every time you create a new post of that type. This will initially be empty as you’ll need to create a template! This toggle allows you to put inline PHP in your templates. This PHP only runs when you create a new post with that template. It shouldn’t be confused with plugins that allow you to put dynamic PHP in posts that is executed each page load. This is simply to allow you to setup dynamic content in your templates. A great example of how you could use this is for those daily or monthly updates where you find yourself typing in the date, over and over. This bit of PHP will be executed and the month will appear in its place each time you load the template. There are a great many uses for this feature, but it is disabled by default since any adhoc execution of PHP is a security risk by default. You should only enable this at your own risk, and when you absolutely trust your authors! You’ll be presented with a new post screen that is identical to the normal WordPress new post screen. The only new things you’ll see on this screen that you may not otherwise expect is the “Template” and “Attributes” metaboxes on the right. Both of these meta boxes are on the New Page editor in WordPress, and can really only be used with Pages in WordPress. The template dropdown (I know, it’s confusing to have a ‘template’ dropdown on a ‘New Template’ screen 🙂 ) allows you to select a page template, just like you would on the new page screen. The Attributes box allows you to set a page order. This should work for all content types in WordPress, but it’s usually reserved for pages so your mileage may vary. This normally let’s you to control the order pages show up, but theoretically can be used for posts too. This is probably an edge case feature since it’s unlikely you’ll want to assign a particular order to all new posts. Other than this, all the rest should be completely familiar. You can select tags, categories, images, custom fields, etc using the same technique you would editing a normal post. When you’re done, just click “Publish”! Workaround for PHP installs that don’t have mbstring (http://php.net/manual/en/mbstring.installation.php). Handle rare edge case where PHP is not configured with iconv support. Update updater URL again. We now use advancedcontenttemplates.com for everything! Fix issue with updater not updating. Fix a bug on international sites that caused taxonomy menus to show up and overwrite the “Add Template” menu. Fix warning on admin screens. Fix upgrade URLs to point to new store. Update all other URLs to point to new URL. Fix “ghosted” media files when using templates with attachments. Fix issues with JetPack publicize feature. Make license key notices more clear to prevent confusion. Turn off SSL verify so that users with crappy hosts can get add-ons and updates. Fix fatal error with upgrades from Simple Content Templates to ACT. Fix preview feature for templates. Holy rewrite batman! We’ve rebuilt ACT from the ground up with a new, beautiful code base! The settings screens have been redesigned and now function much better. New Add-ons are no available: ACT Instant Shortcodes allows for new and creative uses of shortcodes in templates. Add-ons will also now show up for automatic updates when updates are available, just like other plugins. Oh! And Add-ons are now available to Small Business licenses and up. New feature for Professional License holders: Add Ons! 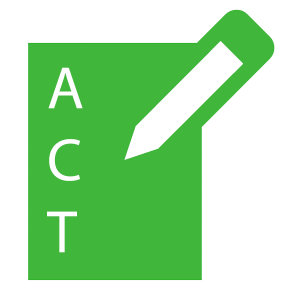 We’re launching with one add-on: ACT Metaboxes adds post metaboxes to the ACT template editor automagically. Fixed bug with force conversion of SCT templates. Order templates alphabetically in dropdowns per multiple user requests. Fix occasional bug that caused PHP warnings during template load. Fix Simple Content Template converter to handle HTML properly. Fix admin page bug where Advanced Content Templates post type showed up, confusingly. Add manual Simple Content Templates conversion flag. To force conversion, visit http://yoursite.com/wp-admin/?force_act_convert. You must be logged in as an admin. Ok, but seriously. We’re going to get this right this time. Post title now is only set if an existing title is not in place. Loosen search for post types to include posts that have exclude_from_search set to true. More post types should now work with ACT! Fixed issue with Simple Post Template upgrade sequence. Fixed error with anonymous functions and older versions of PHP. If you have problems, the preferred way to get support is to contact us through the support page.